Great beer is made from excellent malt. And excellent malt originates from pristine grain. 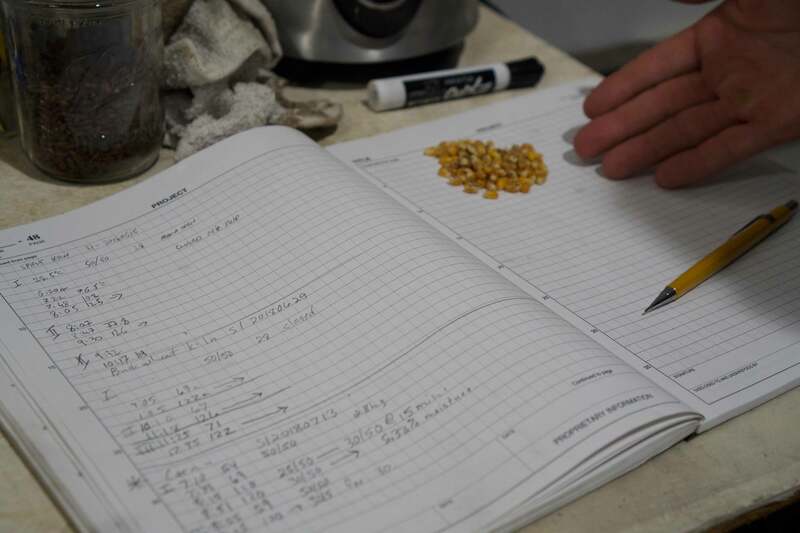 That’s why we collaborate with our farmers, our local universities, small grain scientists and farm extension agents to select grain varieties, to help guide responsible cultivation practices, as well as proper harvesting, cleaning and storage. 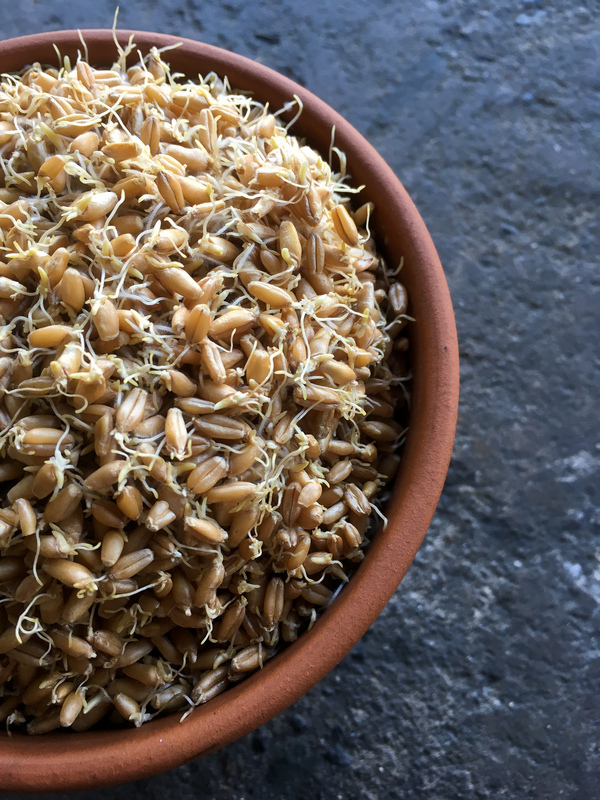 At Epiphany, we use grain sourced only from seed growers and specialty small grain farmers—not large-scale grain elevators. Local does not always mean better. While the majority of our grain is sourced from regions in North Carolina and Virginia, we also buy exceptional grains from across the country. 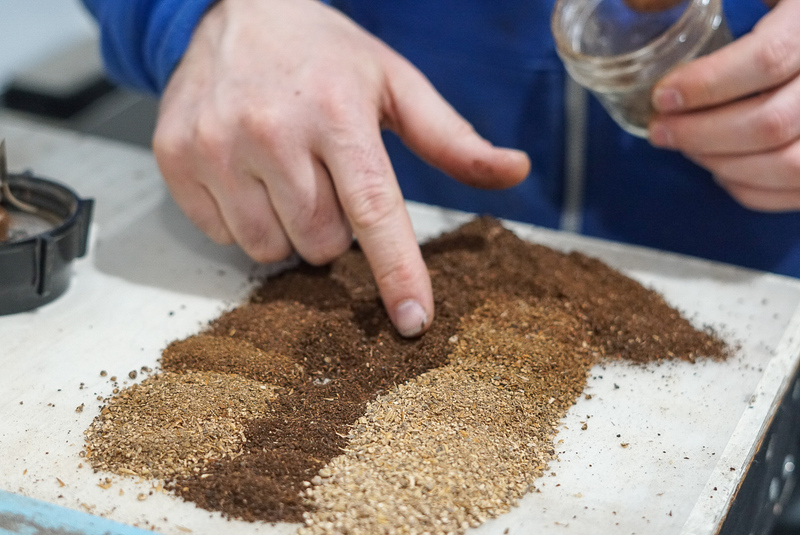 That’s how we have established a resilient, sustainable and biodiverse supply of quality grains that are uniquely suited to the needs of our maltsters, and to the vision of our brewing and distilling partners. We don’t do floor malting. Instead, we use a 40-ft Germination-Kiln-Box, essentially a smaller version of what you might see in a large commercial operation. This is what makes homogenous germinations and even kilning possible. Further, this allows us to control moisture, temperature and time to exact specifications for each batch. Consequently, we get flavor-forward and distinct malts that allow our customers to stand apart with their creations, while getting a modern, functional and well modified malt. Even our base malts—a category that is too often thought of as a vehicle for sugar and little else—are optimized for flavor. 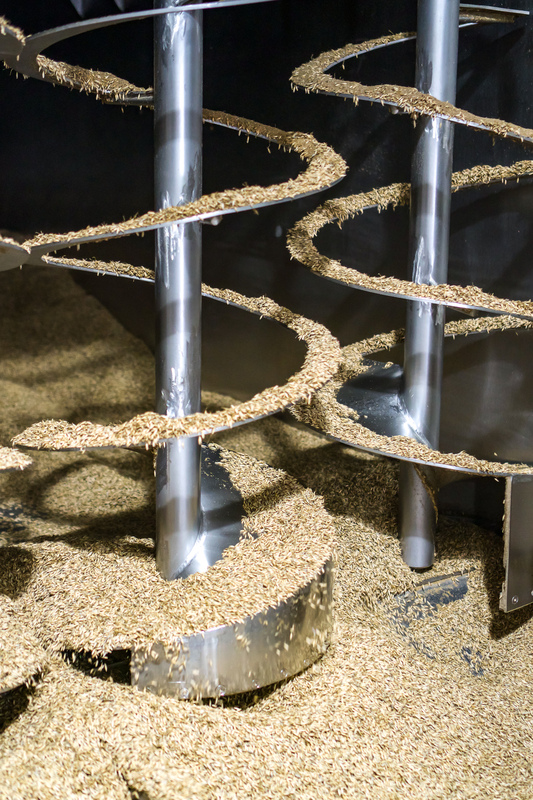 Compared to a typical base malt, ours spends an additional 24 hours or more in the box. As a result, it imparts a subtle but unmistakable depth and finish to the wort. And we’re similarly persnickety about our specialty malts, be it high-kilned or roasted. We tweak specs for each batch, creating both unique yet faithful expressions of traditional malt styles, as well as more experimental innovations. In every batch, our goal is to draw out and highlight the characteristics of the grain varieties we work with, elevating and embracing the natural characteristics of the grain itself, as well as the sometimes surprising and often delightful idiosyncrasies of each specific batch and harvest. Roasting is where the colors and flavors are. Yet it’s also where things can easily go wrong if you cut corners. We roast in small batches using a Probat drum roaster that is specifically customized for malts and grains. This allows us to carefully monitor the minute-to-minute changes in the aroma and appearance of the grain, adjusting temperature or timing to achieve the desired end result. We also love to “live roast” in collaboration with our brewers. 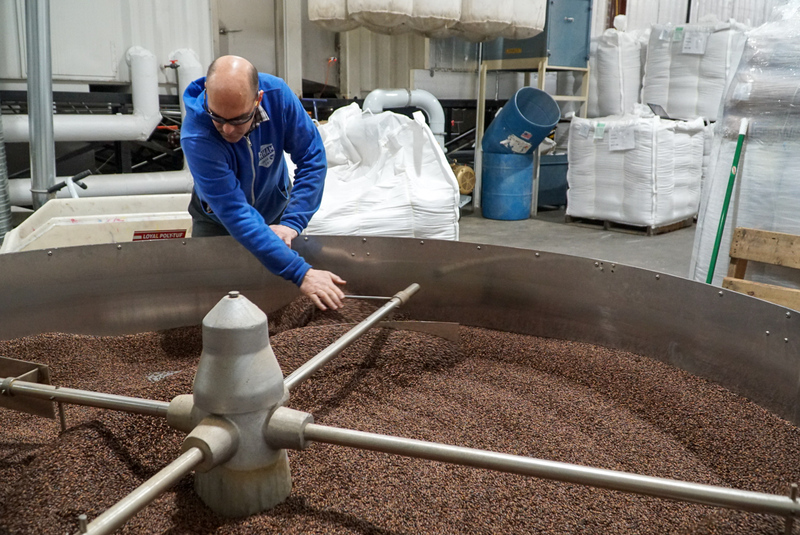 By getting your hands on the malt during various stages of the roast process, you get a better idea of how the process transforms the grain, and we also get a better sense of what it is you are looking for. Collaboration is what we love about the world of beer. Alongside fermentation and hop profiles, custom malts are a great way to develop and express your own style of brewing to differentiate your brand. We have worked with customers on custom cereals, different kilns, custom smokes and roasts on both a large and small scale. And some of those collaborations—Black Wheat made with Creature Comforts, and Bruehmalt made for Wooden Robot—have become a regular mainstay of our product line. We’d love to work with you to fill your needs, even if its outside of our regular product offerings. Learn more about our custom maltings and all sorts of projects we get into here. We have 1- and 2-day guaranteed shipping to most points in North Carolina and the South East, and 3 days within the Mid Atlantic for all malts that are in stock. Located outside the eastern seaboard? Feel free to drop a line and let us run a quote. We package in 55 lbs bags, 2,200 bags a pallet and can ship in Super Sacks if notified in advance. Large or small, we have the capacity to fulfill your needs. For orders smaller than 55 lbs, we have partnered with many local homebrew suppliers who carry a variety of our product offerings. All shipments come with lot numbers that trace back to our batch-specific specs. Become a New Customer Here!